The Michelle Vanity is very much on trend. 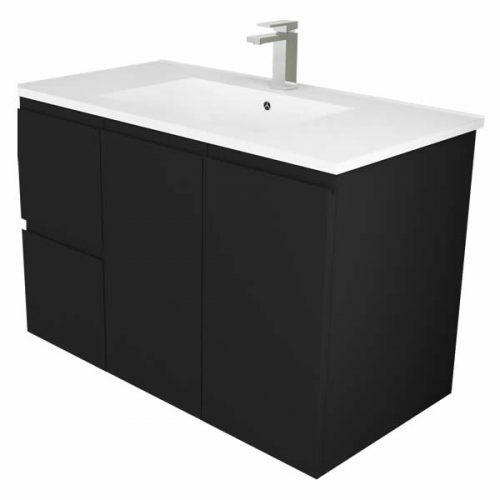 Featuring a matt black finish with a white countertop, this trendy bathroom vanity will become the focal point of your bathroom. Measuring 900x460x595mm in dimensions, the Michelle Vanity is suitable for installation as a wall hung vanity and is ideal for medium to large sized bathrooms. The Michelle Vanity Unit features the perfect blend of style and practicality. It comes equipped with two large drawers and solid doors, which feature a soft closing mechanism. Moreover, the matt black finish is highly durable, thanks to high quality UV resistant 2 Pack paint. This bathroom vanity exhibits superior grade of construction and workmanship. 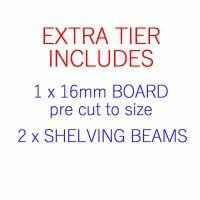 It is manufactured using eco-friendly E1 MDF board, with a solid 16mm backing board. It will withstand the test of time and is backed by an impressive 5-year warranty. For the trendies bathroom vanity in Perth, look no further than the Michelle Vanity Unit. Buy this attractive vanity at the lowest price from our online store today to avail of free delivery all across Perth Metro!